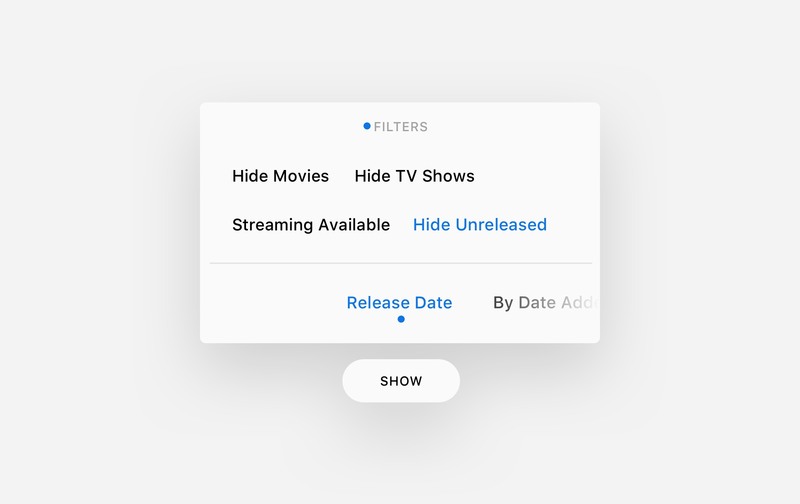 Today is a great day to present Filters, our new feature. In this article we would like to share its most useful properties and to point out how to get the most of movie lists. Check out which movies your friends rated with 10 or 9 stars. 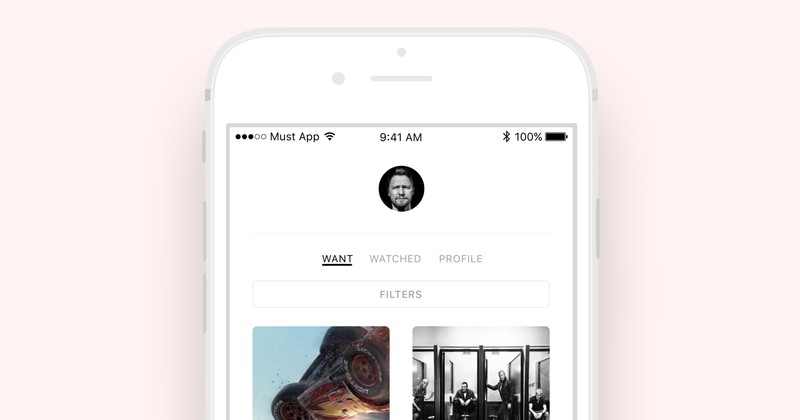 When sorted “From 10 to 1”, Must App will bring up the movies with the highest rate. 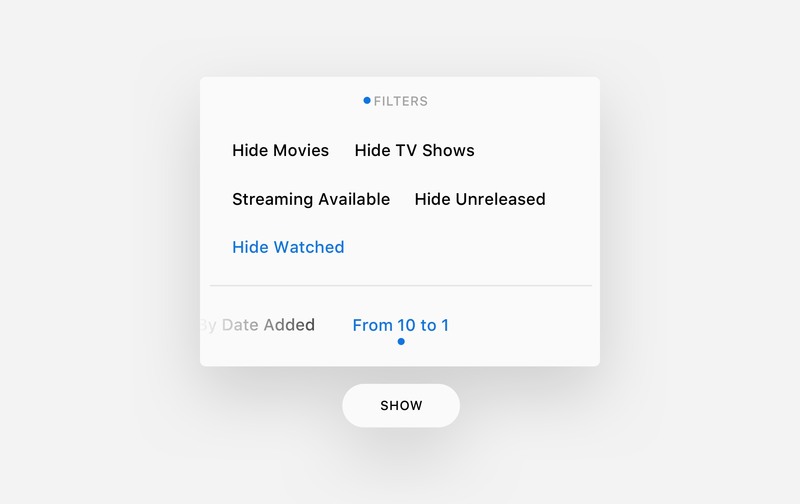 If you click the “Hide Watched” option, we will hide the movies you already watched. By default the movies in your collection are sorted by the date they were added, but it’s not a very convenient way for the Want list. On the top of the list you’d prefer to see new movie releases, and you’d want to hide the films that will only be in theatres in a couple of years. Now you can easily set it up using filters, and your changes will be permanently saved. We refresh movie collections frequently (okay, at least now we do), and people often tell us that it’s complicated to figure out which of the movies you can watch right now. With the “Streaming Available” filter the app will show you only the movies you can buy in iTunes store right away (we’ll add more streaming platforms later on). 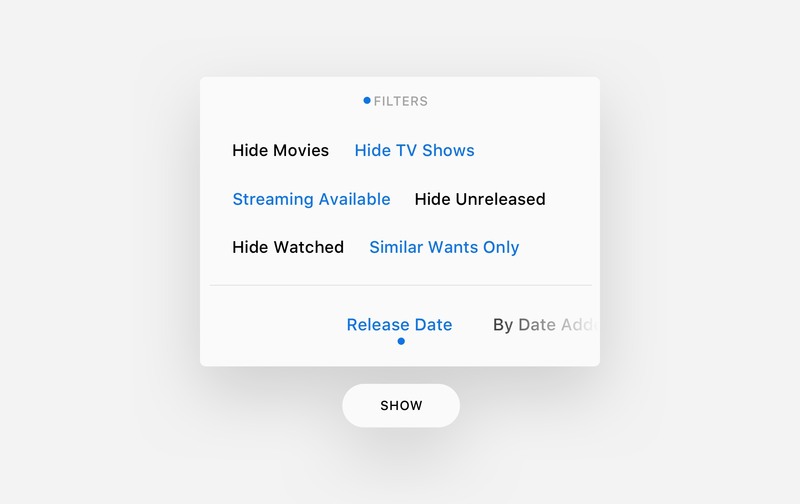 That’s not all our filters can do; we also have the IMDb ranking filter, the filter of most anticipated movies, filter by date added, the “Hide the Watched” filter, and many others. 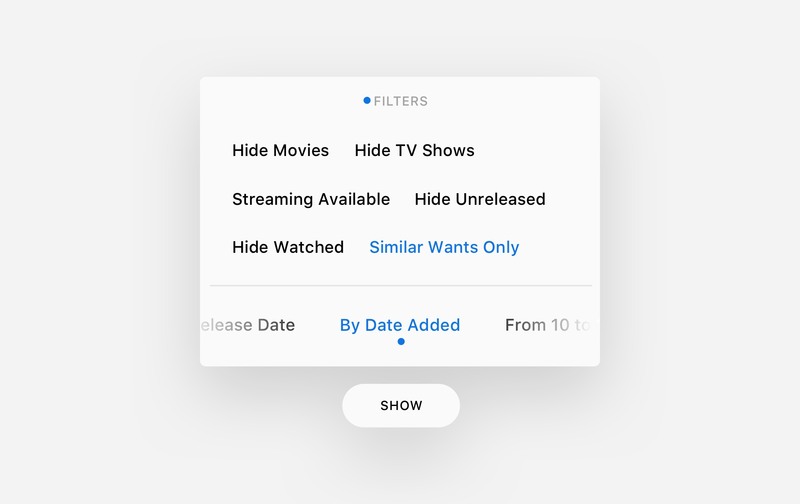 We’ll gradually add new options of filters and eliminate the ones least used. Give us your feedback on Telegram or Facebook — we do read all of it, we promise.